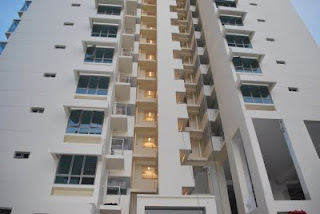 Wrought iron are commonly seen or used in Singapore HDB flats. Many Singaporeans used wrought iron as their gates or windows grill to provide more security to their house. Many people would usually think that wrought iron is just a normal and simple metal that cannot be molded in to a design. In this modern era, wrought iron is not just a metal that guard or keep your house safe, wrought iron are able to be a design item in your house. 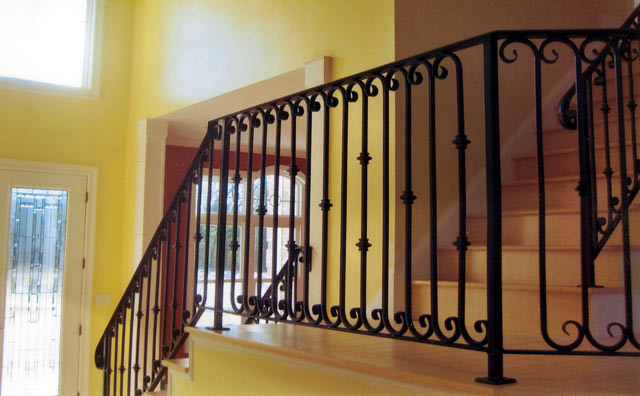 Wrought iron can be customised to a design of your choice and be installed in your house. These are made to suit any internal or external of your home, affordable rates, and they can be shape to any design through customization. In a HDB flat, many people gates or grills were made into the same or similar design, why not start from now, your house should stand out of those common designs by having your own custom made gate via wrought iron. In addition, your house re-sales price will be mark-up due to the different design of gates you installed. 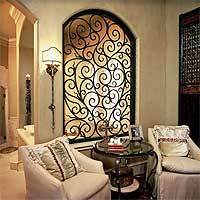 For the exterior, design patterns of the custom wrought iron are boundless. You can install custom made gates, fencing, and decorative items placed on your balcony or outside your house. Fence made out of wrought iron will last longer and better than a wood made fence. Wrought iron is not brittle and fragile, able to weld into any design and can be coated with paint to suit your house decoration and theme. For the interior, the wrought iron is commonly seen as the core railing item that spun around the staircases. It is a great idea to combine and shape out an interesting design to form that railing around your staircases in your house. 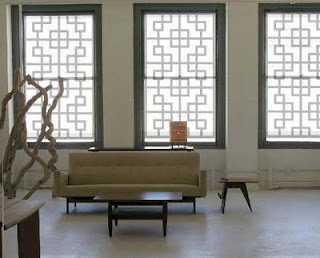 Designs to choose for the wrought iron also can be boundless even for interior use. You may wish to consult with your designer about using wrought iron with the old type of railing systems. It is almost possible to be made for every style of staircase including spiral type. 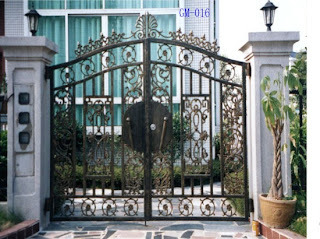 The most commonly use of wrought iron will be the gate for your house. Gates are usually installed at houses for extra security, presentable looking and to mark-up the value of your estate. Rather than getting a cold and not expensive gate system, why not consider getting your gate customer made to suit your house design from wrought iron. In general, wrought iron has many usages for a house. Not only wrought iron can be customised, able to paint, solid and durable and it is very sellable among the exquisite houses. If you want your house to have a good market value and also to make your house look presentable, zoom into the design that appeals to you. Hopefully you enjoyed it as much as we wrote it! 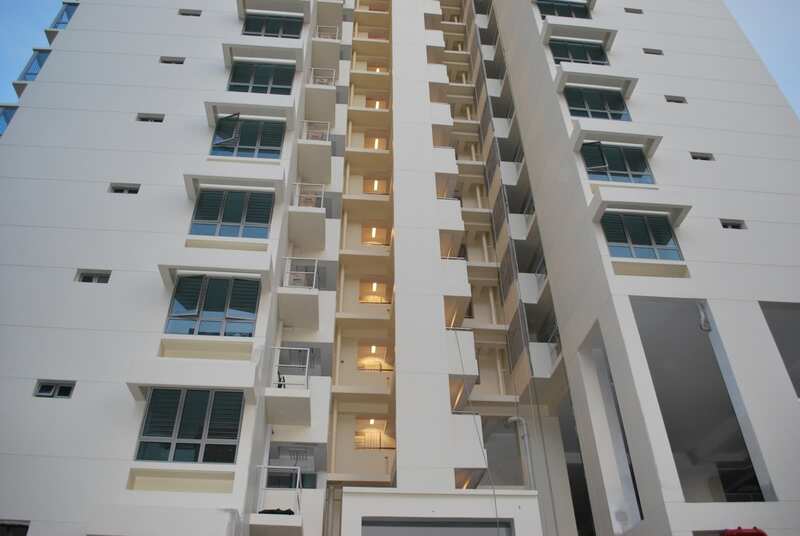 In Singapore, you will notice a trend that all HDB normally have wrought iron gates or aluminium grills installed. Wrought iron was used in all kinds of industries for many years. They fitted well as a decorative item to improve your home style and theme, not to forget also wrought iron primarily function is to secure your house main door and windows. Wrought iron is just like aluminium. It can be melted to shape to any design that you yearned for especially to a decorative and ornament items. Wrought iron grills can be used in windows, railings, fences etc. These grills will definitely improve the whole image of your house. Why is it so? The reason is if there is a wrought iron gate installed at your door step, it will be focus point of attraction of your home. I will boldly say that wrought iron grills are the most popular sought for metal for homes. Wrought iron grills normally are used to secure your home. This metal is sturdy and it can be shape or mould to a design that is appealing to eyes. Usage of the wrought iron grills are popularly seen in today modern house. Wrought iron grills had variety of designs that can definitely fit into your house, ranging from elegant design to extreme ornamental patterns for your ideal modern theme. These wrought iron grills are normally powdered to prevent them from rusting. After powdering, those wrought iron grills will be either painted or applied different finishes. Most desired or sought for finishes are nut brownish, forest green, black or white etc. Wrought iron grill design that are most sought for will be related to nature like stars, moon, fishes etc. Do you know which type of powdered colour is most sought for in wrought iron grills? As plain and dull it can be, the most sought for powdered colour would be the shiny black colour. This type of coloured grills can fit well with any design or theme of your house and since is a basic colour thus will make your installed area to have an elegance atmosphere. You may have a problem in selecting a suitable wrought iron grill design for your house as they are spoiling with a wide range of designs and styles. Maintenance of these grills is easy and simple to clean. Installation is not difficult at all. Removing the grills is also not a difficult task. Many wrought iron suppliers do remove of existing wrought iron and re-mould them to new designs. In general, I cannot express much further in explaining the nice and goodness of installing these wrought iron till you personally engage or install them as your decorative or just a simple security purpose. Many home owners nowadays have garden in their homes. Plants can reduce air pollution and also look pleasant in our eyes. Scientists have proven that plants have good effects on the body and mind. It is good for relaxing, taking you away from all the stress. Some home owners might even have the hobby of gardening. Gardening is something to hope for, especially when the petals bloom into beautiful flowers. With the increase of gardens, the demand for garden gates also increased drastically. 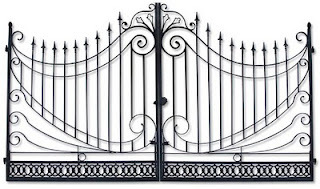 Most of the home owners usually have difficult time choosing the suitable iron gates for their gardens. 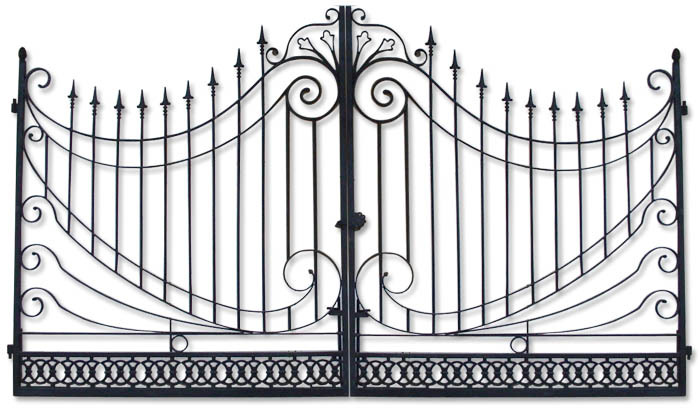 Different iron gates have different designs and pricing. Wrought iron gate are the most commonly used garden gates in most homes due to its affordable prices and the quality as compared to aluminium ones. Those pure wrought iron gates is already out of production, nowadays contractors usually use garden gates which are not made from pure wrought iron. Although they are not as good as the pure wrought iron gate but they are still good enough. Note that pure wrought iron garden gates are not cheap. Do not worry, these wrought iron be it pure or not, they are still very good. Due to its good quality, it can withstand immediate rusting. They do not need frequent maintenance, as compared to other iron gates which need repainting frequently. If you would like to have a unique wrought iron garden gate, you can also customize your own iron gates into your own designs. This will cost a little more but at least you will get what you want. Wrought iron garden gates keep the animals away from the garden and also allow human excess to it. People who take pride in their plants, flowers and bushes will install the wrought iron garden gates. Wrought iron fencing can also be used to enclose your pool area , this is to prevent people from climbing over and also keeping the water cool all the time. Complete the look of your pool area with the wrought iron fencing. Drive way gate is also another popular choice, it is automated and they are known as electric gates. It can be operated at home with the use of remotes. They are available in many designs and sizes to impress visitors. There are lots of of things of big importance to obtain included. One of many fashionable options is landscaping, since it allows framing the sweetness of your dwelling. It's quite important and necessary to have design of the house which may further decide the models of areas you would like. It might direct you towards the accommodation of the future plans. Decision concerning step will be the location that will help you in finding the area you're looking about. It really is to be imagined therefore as all the tasks go matching while using surrounding while using the house. With the major things done, it should not come as being a surprise the way the items like the windows, doors, along with the shutters will also be for being looked after. Oahu is the reality whenever you are already completed while using dwelling of your home, the doors and windows play a crucial role inside the overall appearance. When you have few windows at home, it can lead to darkness. 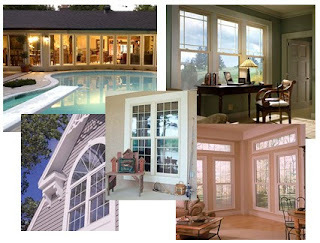 The extra of windows would make your house ready to accept insurance agencies very less privacy. Once you plan about the windows as well as the doors, then you will must be careful regarding this. 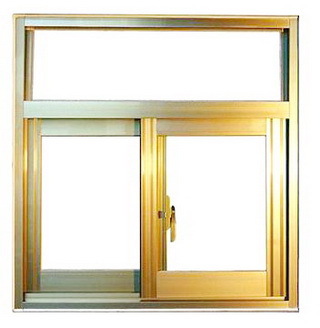 You could possibly choose the option of aluminium doors and windows with fiberglass or plastic glass because the most suitable choice. These windows and doors can be found in various shapes and forms. There is a huge range, so that you will may find a thing that suits your home effortlessly. Its simplicity will be the feature which makes it not equivalent to others. Quite a few anywhere, either indoor or outdoor. They are light-weight and will engage in the very best material for that protection. Being quite effective with plenty of positive features, we have an chance the dog owner to think something creative and will easily create anything new from this. You have to the possibility to obtain the danmer custom doors for all. You will find bi folding doors of aluminium, which may even make you stay strong piracy and without affecting the flow of sunshine. They might be effective and getting the current time.